DT01ACA300, 6Gb/s SATA-III, 3.5" form factor, 32MB cache, 2 year manufacturer warranty. 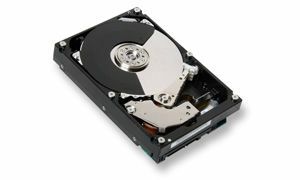 Toshiba's 7200 RPM 3.5-inch (8.9cm) HDD series is optimised for use in power-friendly consumer and commercial desktop computers, gaming PCs and external HDDs. The DT01ACAxx series offers up to 3 TB capacity and uses Advanced Format and leverages a best-in-class power management technology. In addition, this desktop drive provides up to 16% idle power savings over the previous model. The 6 Gb/s SATA interface drives deliver 7200 RPM performance. These HDDs are designed to allow manufacturers to leverage the benefits of the latest components and operating systems to deliver high-performance, high-capacity, power-efficient systems.